You know how sometimes time goes so slowly, but it goes by quickly as well? This is one of those times. It’s hard to believe a month has passed. They are both still eating around 3 hours during day. They wake up for their feed about half the time (almost always on the 3 hour mark–it’s amazing!) and Sharon wakes them up for a feed the other half of the time. Sometimes they’ll wake up earlier than 3 hours, but so far it seems to be a sleep issue, not a hunger issues, and she is able to get them to go back to sleep with a little help. If they were hungry before 3 hours, she would feed them. She is following the PDF method and EWS routine and encourages full feeds. She mainly follows the baby whisperer’s methods right now, although she isn’t as worried about sleep props as the Hogg is. She does what she needs to do to ensure her babies get enough sleep and that she doesn’t get too overwhelmed. At night, they usually go 3 hours at first then she wakes them for a feed. After that, they usually sleep 5 hours (followed by a feed) then 4 hours then it is time to get up for the day. I know, pretty awesome for a month old, especially twins. About every other night one of the twins will have sleep difficulty at night. Sharon generally holds them or puts them in a swing (if it’s Jude, Luke hates the swing right now) and they fall right back asleep. If they didn’t fall back asleep easily, she’d consider that they were hungry and feed them, and the other twin, sooner than usual. Eating is going well. Sharon got mastitis which made life pretty horrible for a few days. She took antibiotics which cleared it up (yes, I asked her if it was ok to mention this–we’ve been discussing these posts and what to write, she’s just too busy to write them herself). She’s also had issues with blocked ducts. If you’ve had those, you know they are pretty painful. A heating pad has turned out to be the most helpful thing for her with these. 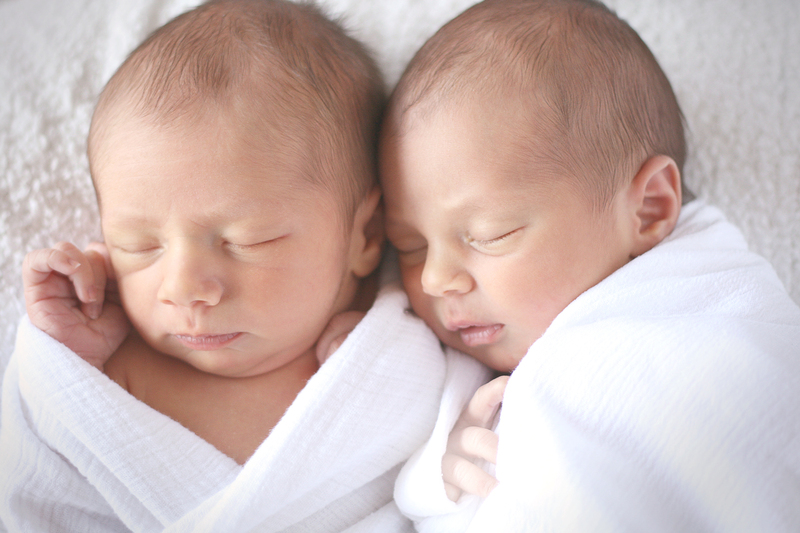 The twins have both gained weight well, even a little above average (which is pretty normal for the nephews/nieces in my family whether breast or bottle fed). My sister’s comment after we weighed them last was “who says you can’t breastfeed a baby on a schedule and have them thrive–and I’m feeding two!” Exactly. Sometimes they will get fussy during their bedtime and late evening feed. Usually offering a pacifier for a minute will calm them down then they’ll eat. Luke always takes longer to eat even though he is the lighter of the two twins. Shows you how different all babies are. Jude is a better sleeper than Luke He settles more easily and stays asleep longer without help. But his digestive tract is also a bit more sensitive so you can’t have it all 🙂 Luke gets overstimulated more easily and swaddling seems to especially help him settle down before sleep–the tighter the better. Sharon uses a halo swaddler right now. It’s been keeping them swaddled well most of the time and it’s pretty quick to put on–important when you’ve got two you’re trying to swaddle and get to sleep. She’s also a fan of the miracle blanket. They sleep in the newborn rock and play sleeper much of the time still. 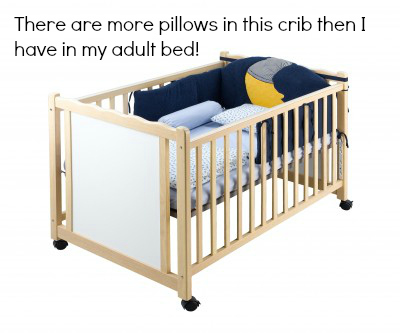 This bed is pretty common for single babies, but I’ve found it is really common (and a bit of a life saver) for multiples. Sharon isn’t doing cluster feeding in the evening. Trying to fit that in with two babies while taking care of other children and dinner is too difficult. Neither baby has seemed to be hungry sooner (except for a few rare occasions) so she hasn’t worried about it. She is sort of doing the DF around 10:30, although it is more like a normal feed than a sleepy feed. They’re usually up as long as it takes Sharon to feed them, change their diapers and put them back to sleep. So like an hour. If one of them spits up all over his clothes (likely Jude!) or poops twice it takes longer. She’d like to consider waketimes more, but she can only move so quickly with two babies so she does the best she can. Yes, they’ve got them, the evening fussies. Luke has especially gotten fussy the last couple weeks, although the fussiness level seems to vary from day to day. Sharon and her husband/friend/family member usually spend their evenings holding the babies from their bedtime (7:30 ish feed) to late evening (10:30 ish) feed. Sometimes they’ll surprise her and sleep well during this time, but she doesn’t count on it. If she’s holding them, they will sleep OK. They often fall asleep for a few minutes, start to get fussy, are calmed back to sleep and repeat. After the late evening (10:30) ish feed, they seem to go to sleep half the time and half the time one of them will be fussy and need some help for some time before going to sleep for his longest stretch of sleep at night. On a side note, she’s found that the twins are much easier and less stressful for her than her first baby was. Not only was she a first time mom then (which is really stressful for many of us–myself included), but her oldest was a very difficult baby and always fought sleep. I’m mentioning this as a reminder that every baby is different and some are much harder to take care of than others, even if you are doing an amazing job (which, you likely are). Yes, your neighbor’s child may sleep like an angel and always be smiling, but that doesn’t mean your neighbor is doing anything better than you are with your sleep resisting, fussy newborn. Babies, parents, life situations etc are different, and that can make all the difference in the world. You can check out Luke and Jude on Week 1 here. 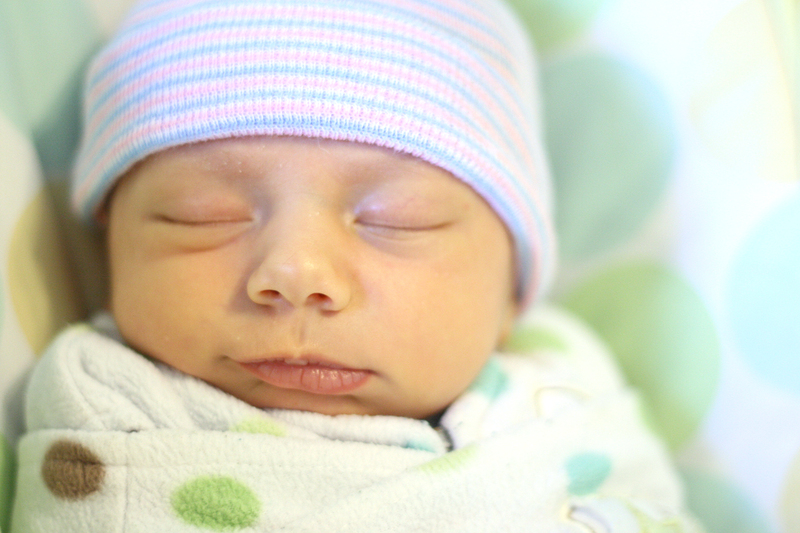 There is nothing more magical and exhilarating than becoming a new parent. Those first few weeks are filled with wonder, amazement, and pure joy as you get to know your baby. Through the years, I’ve given birth to five children of my own, and have spent numerous hours consulting with families just like yours. I’ve found that there are some simple steps you can take that will help you get into a nice groove during the first few months with your baby. 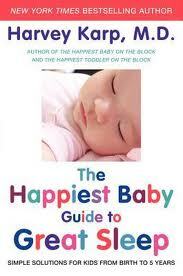 These essential infant tips will also help reduce the stress and overwhelm of adjusting to life as a new parent. Your newborn baby needs an adjustment period once you bring him home, and so will you. Keeping things low-key in these early months will help tremendously. 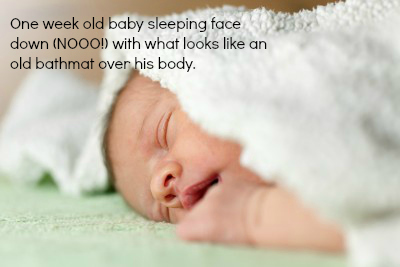 Babies can be very sensitive to new changes, especially sights, sounds, smells, and new people. These new experiences can be overwhelming to your baby’s fragile nervous system, and he will need you to help protect him from overstimulation. Try to limit visitors to once per day, and when you do have visitors, try to limit how many people handle your new baby. Too much passing around or running about town may cause a major meltdown for your baby and leave you exhausted. You may have lofty goals of getting out and showing him off, but you will find very quickly that staying close to home is probably a better bet. Take up offers from any friends and family that are willing to lend a hand. Your only goal during these first few weeks should be to rest and bond with your baby. Ask others bring you meals, clean your house, or run errands for you. If you can, consider calling in a part-time sitter or nanny after your partner returns to work so that you have some relief. Taking care of your baby 24/7 is a challenging job, and you will need time to relax and take a brief rest break from caring for your baby. Plan this ahead of time if you are able, and ensure that you have support scheduled for at least the first 2 to 3 months. You can alternate between friends, family, neighbors and paid help to get you through this time. Trust me, you will be glad you did! There are many products I recommend new parents have on hand, but there are a few staples I have at the top of my list. For parents: Stock your pantry and fridge with healthy and easy-to prepare snacks and meals. You won’t have the energy or time to do much cooking and having food that takes no prep or very little – will help you stay energized and less overwhelmed. If you are a breastfeeding mom, make sure to have a good breastfeeding book on hand to reference and the number to a Lactation Consultant or Center. When problems arise, you will want quick solutions. For your baby: Have a swing, swaddle blankets and white noise machine on hand. They are wonderful calming tools! You’d think that this would be a no-brainer, right? Believe it or not getting feeding off to a good and healthy start takes some work. If you are bottle-feeding, make sure to watch your baby as he feeds, so that you can pick up on his cues and catch when he is done or needs to be burped. This can help feeding times go smoothly and avoid unnecessary feeding challenges. If you are breastfeeding, follow your baby’s lead and feed him when he is hungry. Breastfed babies feed quite often in these early weeks, and you may feel like nursing is all you do all day. Rest assured that this is normal, and it does get easier as time goes by. If you struggle at any time with breastfeeding, be sure to contact a lactation specialist for help at the first sign of trouble. It’s the quickest and easiest way to get things back on track. Parents have the greatest ability at finding creative ways to calm their babies (this includes you!). Try a variety of things and observe what works best for your baby. Don’t be afraid of relying on soothing tools (pacifiers, swings, holding, rocking, etc.) in these early months. Your baby will likely need help, and it is perfectly fine to use these items. Don’t worry, they will NOT cause any long term bad habits and can eventually be phased out once your baby is older. These first few months are all about adjustment, and this includes sleep. There will be a period where sleep is different than what you are used to during these first few months. Make a plan to share the baby duties so that each parent can get a good 5-6 hour stretch of sleep EVERY night. Consider split shifts, nights, or bring in help during the day so that BOTH parents can rest. Feel free to use the swing, bouncy seat, or rocker if it helps everyone get more sleep. 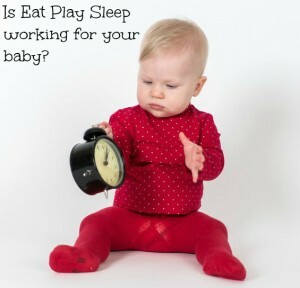 Take nap breaks and sleep when your baby does in order to get those extra few hours of rest your body needs. It’s easy to find yourself still in your pajamas at 6:00 p.m. when you’re a new parent. After these first few weeks, start to weave some gentle routines into your day. As hard as it seems, try to get up and take a quick shower and get dressed, throw on some comfy yoga pants and soft t-shirt and save those pjs for evening time. Take a walk every day and get some fresh air. Getting a good dose of sunshine will be good for you and your baby! Try singing the same song or reading the same book before you put your baby to bed. Doing these things can help bring more predictability to your day and make your baby feel calm and secure. 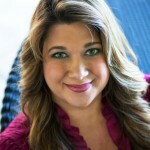 Heather Irvine is a Certified GSC, Postpartum Doula, Newborn Care Specialist & Certified Lactation Counselor. As if those specialties weren’t enough, she also has 5 (yes, 5!!) children of her own! What is YOUR essential tip for new parents? Was it covered here? Often times you hear a mom say “I wish I had one more hand so I could get things done.” As many of us know, taking care of our children and running a household on a day-to-day basis can be overwhelming at times. Is there such a thing that will help us tend to our kids while, at the same time, allowing us to be productive at home? Well, I am here to tell you about a product that can help! I contacted Jennifer after reading Lovelyn’s testimonial and told her about the bottle band issue, but Jennifer was way ahead of the game. Jennifer wrote back immediately to let me know that she appreciated the comment and that a change to the bottle band was already in the works. The Company is updating the design of the bottle band in their next production round so that they wrap around the bottle and Velcro, rather than being a full loop that goes over the bottle. This will definitely help people with wide or skinny bottles get an easy fit! It’s important to remember that a product like this one is to help mom temporarily. A child should never be left unattended. It is extremely important that child be encouraged to hold their own bottle 98% of the time for developmental reasons. Thanks so much to Jennifer for thinking of ways to help mommy out. As she knows firsthand, we try to be everywhere to do everything, but sometimes we just need a helping hand. Thank goodness for the Bottle Snuggler! You can purchase the Bottle Snuggler for yourself or as a gift on their website, www.bottlesnugglers.com. The product retails for $20.95, which is a very reasonable price for something so helpful, especially if you are a mom of multiples! HANDS TO HEART SWADDLE EARNS BABY PLANNER SEAL OF APPROVAL! I have to admit my youngest has totally been my guinea pig these past few months. It’s hard not to elect him since many of the wonderful things that come across my desk, given the line of work I am in, are for his age group. I recently had the pleasure of having him try a new sleep aid, the Hands to Heart Sleep Swaddle, designed by a well known pediatric sleep consultant, Angelique Millette. I know what you are thinking! With the many sleep options for babies these days, what is the difference with this one? Angelique used her 15+ years of experience to create what she tags as “The Natural Way for Babies to Sleep” swaddle. The swaddle consists of a swaddle wing and a side zippered sleep sack. It’s made of 100% non-dyed cotton, made in the USA, natural in color and the swaddle sack comes in two different sizes, small and medium. The access zipper on the sleep sack makes diaper changes possible and quick! Our sample arrived in beautiful packaging along with a thank you note and instructions. 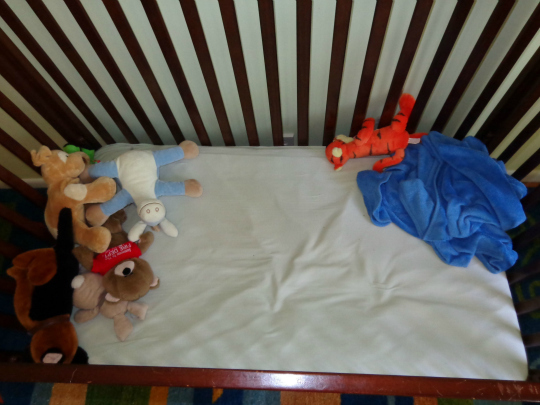 The company also included a fact sheet titled Ten Important Sleep Facts for Babies 0 -12 months. They gave us the small to try out. Unfortunately, we used it for just a couple of weeks because my little guy out grew the sleep sack pretty fast. The small is good for infants 0 to 4 months of age and my little guy was 3 months at the time. 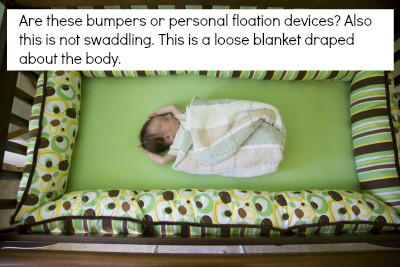 The swaddle wing grows with your baby, but you know that it is not recommended if your baby is starting to turn over. Oh yeah, I forgot to mention that I also had to stop using the swaddle wing because my little guy started turning over before he was 4 months old….that is quite unusual. 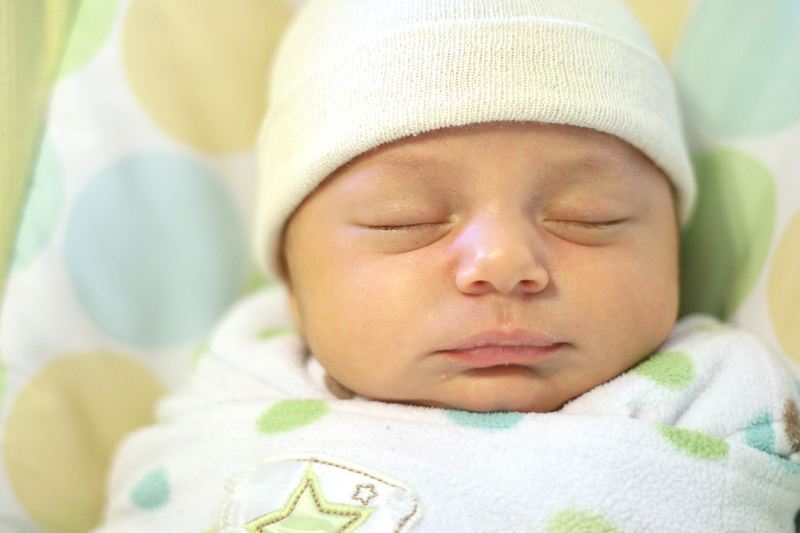 The swaddle is wonderfully soft and easy to put on. As part of his bed time routine, I bathe him then nurse him and he usually falls right to sleep. I was able to put him in the sleep sack after his bath, nurse him and then lay him down on the swaddle wing and wrap him up. Can you believe he didn’t wake up? Like many other infants his age, he wakes up a few times at night, but I do have to admit that he did sleep a bit more. Unfortunately, it didn’t last long…..growth spurt and developmental changes got in the way! Hahahaha. You can read many rave reviews from other parents, watch video demonstrations, obtain sleep information and purchase your very own swaddle system by visiting their website, www.heartswaddle.com. Discover means to assist your child make enduring friendships. I have actually made no secret of my unassailable love of swaddling. Swaddling babies could be the just thing I love more than Game of Thrones (Winter is coming, unless you live right here in VT where obviously winter is currently right here and evidently, never ever ending). Swaddling offers numerous advantages (not even consisting of how adorable little infant burritos are) that it’& rsquo; s among the couple of things that I recommend for ALL children. So please stop asking me the best ways to get your unswaddled newborn to sleep much better due to the fact that my response will always be to swaddle that child. & rdquo; So this appeared like a perfect question to ask the Grand Poobah of infant swaddling, Dr. Karp. 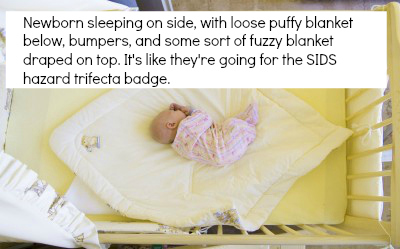 Do some infants just hate the swaddle? Or must ALL infants be swaddled? The various other big swaddling issue that comes up regularly is, what do you do when your child absolutely ENJOYS the swaddle, however has found out how to flip over in it. You can never ever let a swaddled child rest on their stomach (seriously NEVER) so these safety-conscious parents ditch the swaddle only to wind up with an unswaddled non-sleeping child. Does Dr. Karp have any handy recommendations for the parents of flipping swaddle-loving children? Also exactly what is the finest method to swaddle a child who is oversleeping a swing, rock n play, and so on that should be strapped in? I have long advised to merely leave the legs FROM the swaddle. Ends up there is a better means. Look into the brief video below and discover how! Trying to find more from Dr. Karp? If you’& rsquo; re struggling, it may be time to find a neighborhood certified Happiest Child teacher for some hands-on support. Or get his excellent book which will be readily available in paperback on March 19th. I understand, you’& rsquo; re most likely thinking you need an additional infant rest book like you require a great case of athlete’& rsquo; s foot. However honest, this one is worth a look. Has Dr. Karp persuaded any of you moms and dads of swaddle-hating babies to offer it another go? 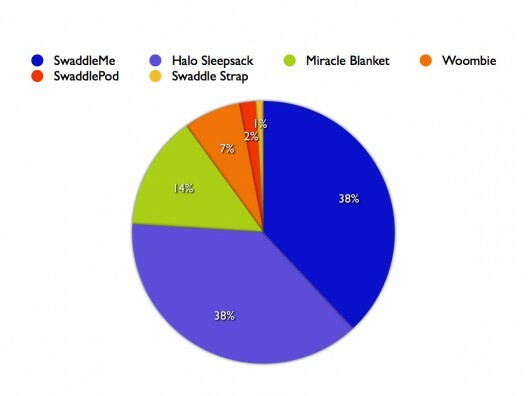 Is anyone anxious about getting their swaddle-loving baby FROM the swaddle? Most of you understand who Dr. Karp is. If you put on’& rsquo; t? Well he & rsquo; s amazing. And frankly the reality that he’& rsquo; s outstanding most likely surpasses the fact that he’& rsquo; s a fellow with the American Academy of Pediatrics, is a USC teacher, and a best-selling author. Further, as you can see from the picture above we’& rsquo; re almost BFFs (there is a small chance that I’& rsquo; m overemphasizing that fact and this could simply be a picture taken after he spoke at a conference). Most of you know him from his terrific Happiest Infant DVD. I’& rsquo; m wishing to see to it you know him due to the fact that of the fantastic book The Happiest Child Guide to Great Sleep (offered in paperback on March 19th –– WOO HOO!).
. Anyhoo for a broad range of reasons Dr. Karp is an all around cool man. He was catapulted into the classification of uber-cool when he accepted an interview by Skype where I might pepper with him with questions about swaddle-hating children, pacifier troubles, child swings, the eat-play-sleep approach, and a lot of various other things. Nevertheless because obviously nobody will see a YouTube video longer than 3 minutes (this is internet law, right up there with thou shalt not look for infant assistance on Yahoo Responses) I’& rsquo; m breaking our interview into small pieces and will be posting them below in a series. There is a bunch of fantastic baby rest ideas right here and I urge you to subscribe to my newsletter (over there on the right) so you’& rsquo; ll understand when every little thing gets uploaded. If you aren’& rsquo; t familiar with Dr. Karp then begin right here with a brief intro on why I enjoy him so. I’& rsquo; ve been rather clear in my support for infant swings as an effective rest aid. Plainly not ALL infants require the swing but bunches of newborns succeed in them and a lot of older infants nap like champions in a good infant swing. But invariably the question turns up –– is it safe? Plainly the AAP suggestion is that babies oversleep their baby cribs at all times. 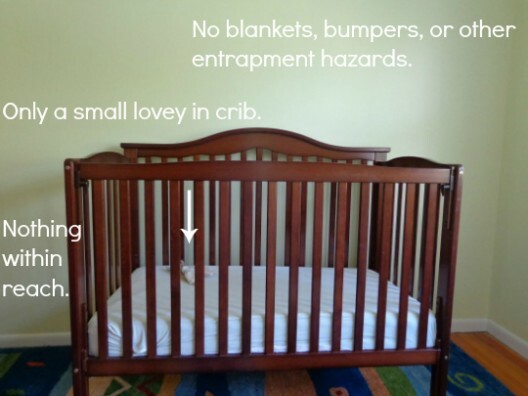 And definitely the objective is that at some point your baby will be happily oversleeping the baby crib too. And for this reason I always recommend you run the concept of your baby sleeping in the swing by your very own cherished pediatrician. Dr. Karp has also long been a supporter of infant swings. He talks about the power of motion for infant soothing in his Happiest Baby on the Block DVD. However what about the wellness concern for rest? I asked Dr. Karp this question, examine out the video to see what he needed to state about it. I’& rsquo; ve got even more excellent stuff with Dr. Karp you succeeded’& rsquo; t desire to miss out on out on. Subscribe to my newsletter and I’& rsquo; ll let you understand when it’& rsquo; s offered. Next up the best ways to get out of reinserting the paci all night long! Anyone relieved to have a pediatric celeb back up your choice to let infant nap in the swing? Delighted by the potential customer of video content (yay or nay on the video things)? This is all brand-new ground for me and I welcome your ideas!